"I didn't enter him at Cheltenham and have kept him fresh for this. He is working well, looks fabulous, could be anything and I can't wait to see how gets on now we are upping him in grade." Has done nothing but please since joining us from Michael Bell for whom he was rated 85 after winning twice in the flat. It's interesting that his official mark is 12lbs higher than the flat rating of the favourite Pentland Hills who won the Triumph Hurdle. Christopher Wood is unbeaten in two starts for us over hurdles, most recently breezing clear at Newbury with plenty to spare. I didn't enter him at Cheltenham and have kept him fresh for this. He is working well, looks fabulous, could be anything and I can't wait to see how gets on now we are upping him in grade. 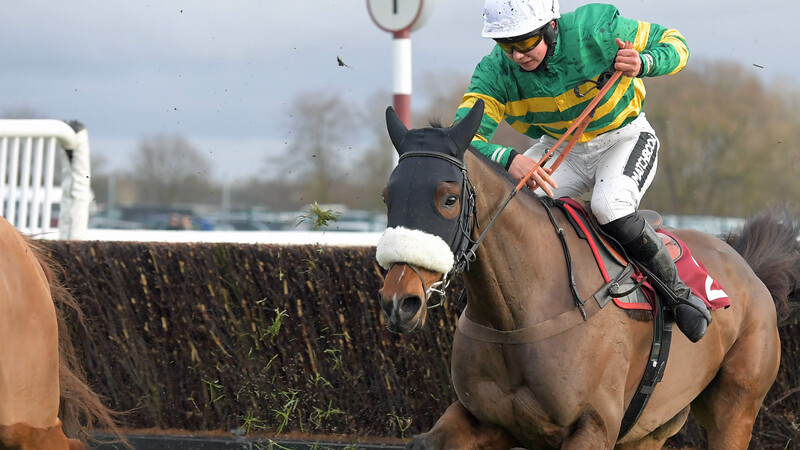 He ran a cracker in the Gold Cup, and was bang in contention at the second last before not quite getting home on ground that had turned more testing than he wants. I knew my fate once the rain come at Cheltenham. Clan was soon back in work after an easy few days, looks great and seems really well in himself. The shorter trip, better ground and flat track at Aintree are all in his favour and he did brilliantly to be third in this a year ago after a rushed preparation. So I'm confident he can bounce back here and reverse the Cheltenham form with Bristol de Mai who was third in the Gold Cup. Has been a great money spinner for us and is in the best form I've had him for a couple of years. He won with ridiculous ease at Doncaster late in February and is fresh and bouncing after we pulled him out of the Foxhunters at Cheltenham when the ground turned against him. Multiple champion point-to-point rider Will Biddick is unbeaten on Wonderful Charm who will enjoy the drier ground and looks a massive price each-way given his BHA rating of 137. 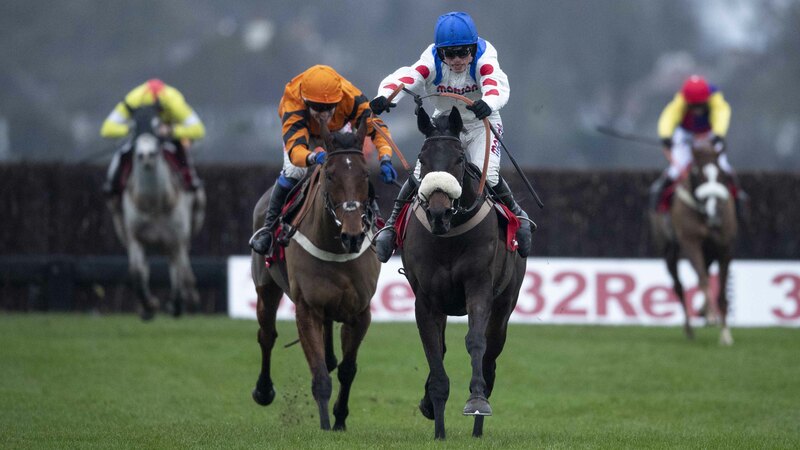 Took his time to get the hang of jumping fences but has turned the corner now and ran the best race of his life to be a close third in the Grand Annual behind Croco Bay at the Cheltenham Festival where Bryony Frost got a great tune out of him. He was handy the whole way there, kept on well from the last and having won at Fakenham and Haydock this season should be well suited by the flat track at Aintree. Decent chance in a hot race. Has faced a couple of near impossible missions the last twice taking on Altior at Kempton and Ascot and is back in handicap company now. Diego has done well to comeback from a near fatal injury 18months ago and crowned a fine season last year by landing the Grade 1 Maghull Novice Chase at this meeting when he beat Petit Mouchoir by two-and-a-half lengths. While he will enjoy racing left-handed again on his return to this track and his best form is on decent ground I'd say he still faces a stiff task giving weight all round. Was useful in the flat for John Oxx in Ireland and is starting to progress now for us. He showed a nice turn of foot last time here to gain an overdue first success over hurdles. Birds of Prey has a bit of class, has become a slick jumper, travels well in his races and has an obvious chance of defying a 6lbs penalty in this novice hurdle with our talented claimer Lorcan Williams taking off a handy 5lbs. Came in later than most of ours last autumn and needed his first run back when he was down the field at Chepstow. He then did better last time 11 days ago at Exeter where he finished fifth in a competitive handicap won by course specialist Trans Express, keeping on in a manner which suggested it might be worth trying him over further. I am hopeful that Choix Des Armes can progress again now that he is down in grade and stepping up to three miles for the first time. Won nicely at Taunton in February on his first start after surgery to help his breathing and I shouldn't have run him in the County Hurdle at Cheltenham once the ground had gone against him. Capitaine is in calmer waters now back at Taunton and though he is 4lbs higher after his previous success at the track he will be much happier racing right-handed on the drier ground and Lorcan again takes off a valuable 5lbs. Finished second on his debut for us at Wincanton in November to Now Look At Me who has since franked the form by winning again. Starsky had a bout of sore shins afterwards so we have taken our time with him but he is ready to go again now He is still a bit if a baby but should be more streetwise this time and will appreciate the good ground. Best chance - Christopher Wood in the 14:20 Aintree. 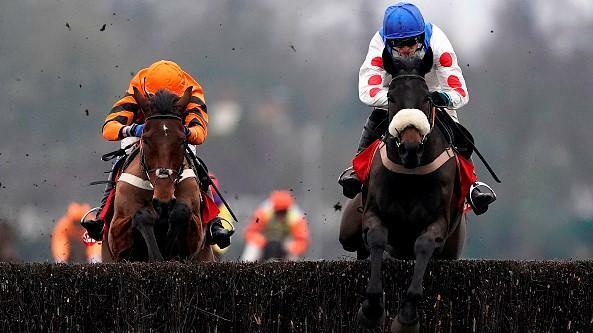 Unbeaten over hurdles and has a sporting each way chance as he steps up in class.